That’s why we worked with leading estate agents, property managers, sellers and property experts to produce a complete checklist. The article below contains 41 of the 89 things professionals look for when viewing a property. You can download the complete 89 point checklist which is structured to help you check room by room, inside and out for any warning signs that the property may be more nightmare than dream home. Search on the internet for as much information as you can about the property and the local area. Property portals Rightmove and Zoopla have some useful tools showing previous sold prices in an area. Also the website checkmyarea can give some broad information on a specific postcode which can be quite useful. Ask the estate agent why the seller is moving and how quickly properties sell in the area for potential resale later. Again check the property portals to find out when a specific property was last sold and the sale price achieved. If you need schooling for your children check out the local schools and make sure that they are of an acceptable standard. If you don’t have children, but are planning to, don’t just assume you’ll be able to move near better schools when the need arises. It’s better to plan ahead. Also, go to Locrating to get some excellent information about the schools in a selected location. Use a property site, such as Rightmove or Zoopla, to compare the asking price of any property you want to view with other similar properties in the area to make sure you will be getting value for money. Now before you get too carried away use our mortgage calculator to double check how much you can actually borrow as a mortgage. This ensures that you can afford the properties you like otherwise you are just wasting your time. You can also quickly compare the best mortgage deals by clicking on ‘return to Best buy tables’ below the calculator results. Find out in seconds the maximum you can borrow. Visit an area a few times on different days and different times of the day to get a real feel for the environment, make sure you include a weekend visit as this will give you a feel of what it’s like when people are home from work. Check the parking situation in the evening when parked cars are at the maximum, also check with the estate agent if there are any parking restrictions or covenants in the area. Some areas will have restrictions on the type of vehicles allowed to be parked, such as vans or lorries. At www.police.uk you can see detailed maps of all the crimes not only in the local area but around the property you plan to buy. Simply enter the postcode and you can see detailed information about the type of offences and the action taken. Quite incredible really. Is the plot flat or on a steep slope, a sloping plot may cause problems in the winter or when gaining access for carrying out repairs and improvements. Does the garden meet your requirements or is it too big or overgrown, a large garden may be an attraction in theory but their will be a cost in both time and money in keeping it looking nice. Is the roof in good order and are there any damp patches visible on the external brickwork, pay close attention to any new extensions for any signs of poor workmanship. Is the property in good decorative order or will you have to spend money redecorating, don’t underestimate the cost of redecorating a home throughout. Are the carpets in good condition or will these need replacing. Have the electrics been upgraded and are there enough sockets for your requirements, switch on the lights in each room to check if they work. Does the central heating work and when was the last time the boiler was serviced, is their an adequate number of radiators and do they need upgrading. Look for any damp or discoloured internal walls which may indicate a problem, look behind the furniture as well as that sofa might be put in that position for a reason. Check under the kitchen sink for signs of any water leaks or damage. Look up at the ceilings for any cracks, flaky plaster or water stains. Turn on your mobile phone and check the signal strength, if the signal is poor then ask the vendor what network they are on and what is their signal strength. Ask for details regarding any broadband connection and speed. Assess the storage space available and will it be enough for your needs and understand if any fitted cupboards are being left as part of the sale. Check out the attic to assess space and whether the insulation, plumbing and water tank are in good condition. 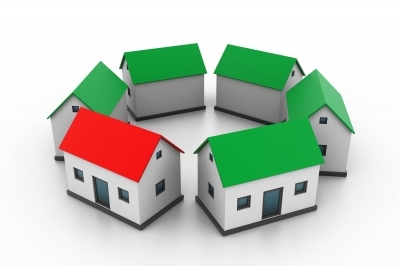 How long has the seller lived in the property, a short period may indicate issues with the property or neighbourhood. Why are they moving, if the reason appears weak it may indicate issues with the property or area. Ask about the neighbours – are they noisy, do they create parking issues, although they are unlikely to be negative, the tone of their comments may give you some clues to potential problems. Taking a quick look at the the outside of neighbouring properties will give you a feel for how they are looked after. Ask how much their utility and council tax bills are so you can assess your likely outlay in these areas. Ask what home improvements they have made since they bought the property, this will give you an indication of how they have looked after the property. Has the seller already found a property to move to, or are they actively looking, this will indicate their motivation to move. How long has the property been on the market, how many viewings and offers have they had and what are the sellers timescales for moving. If the property is a flat how much are the service charges and ground rent. If the property is leasehold how many years left on the lease. What is included in the sale – curtains, light fittings etc. Check if your furniture fits, take a tape measure with you to make sure your things will fit into the rooms. Picture yourself living in the property and will their be any issues with the layout or location of the property that you may find difficult to live with. Take photographs of the inside of property as you can quickly forget the details if you are viewing several properties. Check how long the property has been on the market and was it on the market previously with other agents. Has the price been reduced since it was first marketed, search propertysnake.co.uk to see if any reductions are listed. How many viewings and offers have been made and what offers have the been declined. What has been the feedback on the property from other viewings. I would say it is also worth looking at flooding; if your property is near a river, on the cost, by the smallest of streams or ditches or in a dip/ next to a flooded road it could flood or could have done so in the past; ask the neighbours or visit the Environment Agency’s ‘What’s in my backyard?’ page which shows flooding from seas and main rivers! !